Today’s customers have an overabundance of choices and will happily dump an impersonal brand for one that pleases them with personalized offerings. However, customization goes beyond just changing the name of the subscriber in your email subject line. You need to “develop a customer DNA” by digging deep into their interests, preferences and desires. A truly personalized experience is tailored for one person. “The key to driving higher sales is to understand your buyers’ purchasing behavior,” says Obinna Ekezie, the CEO of Wakanow. 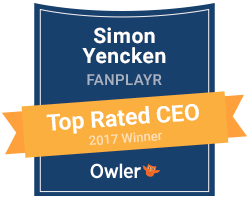 This means utilizing innovative e-commerce solutions like Fanplayr that analyze what “digital body language” to not just segment customers in real-time but create custom offers and calls to action. Maserati — the famous car brand — did exactly that and, by taking over 50 attributes of their visitors into account, was able to increase their average conversion rate by 28.4% and their net-revenue per visitor by 54.6 percent.